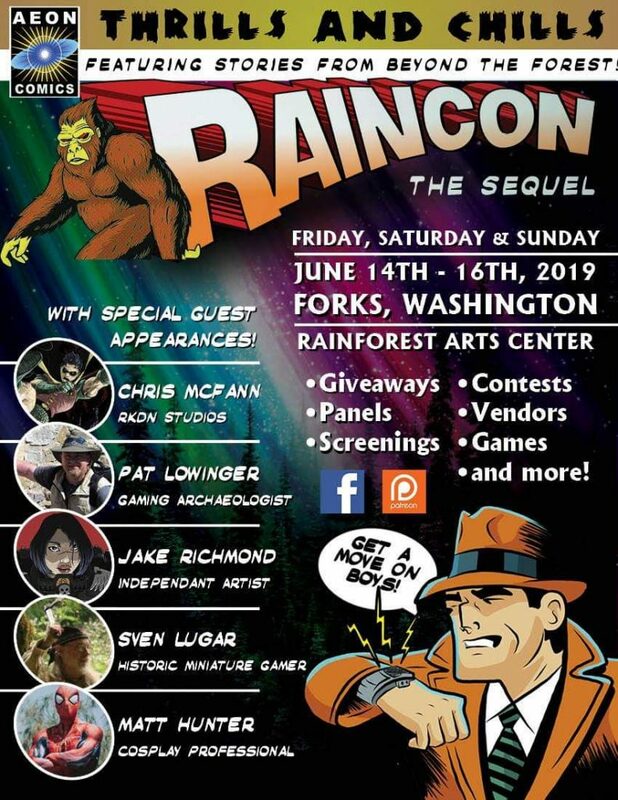 Your flyer is visually intriguing, but it’s missing critical information I need to be able to consider wedging Raincon into my June: I can look up the address of the Rainforest Art Center (35 N Forks Ave, Forks, WA 98331) but it doesn’t look like they have overnight facilities. Do you have a hotel or motel you are encouraging us to choose? How much are rooms there? I know through clicking through that being a vendor is $25 if space is still available, but what is the cost for attendees? Does a vendor space include a table and chairs? Those are my primary questions. Somehow I suspect I will hae more! Thanks for your interest. We don’t have any discounts at local hotels but most rooms in town are priced very affordably at between $75 and $125. $25 is the only fee for vendors and includes a standard modern 6 foot folding table(and a few chairs), power and wifi if necessary for your sales. There is no cost to attendees at the door except what they are willing to pay to help us to organize for the next year, we want everyone to be able to see what we all have to share. You can click the contact me button on any page to send us an email directly if you have any other questions, once again thanks for your interest and we hope to hear from you soon!